It’s time to upgrade again – WordPress 1.5.2 is out. While I’m getting awfully tired of having to keep manually updating all of the WordPress blogs that I maintain, this update has some bug fixes that make me really psyched that it was released. 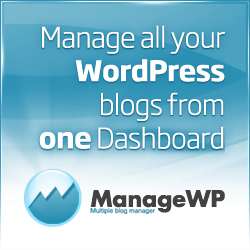 Blogging with WP will now be even faster, as they have made post times superfast regardless of where you’re sending pings to. Previously, if you were pinging a large list of ping services as is recommended here, it could take a long time for the post to finish getting posted, mainly b/c it was so busy pinging and waiting for responses from the ping servers – now WP sends pings and trackbacks behind the scenes, so you can get back to blogging right away, even if there’s a holdup on one of the ping servers. Very cool! There are also security fixes again (*ahem*) so it’s probably a good idea to upgrade, no matter what.